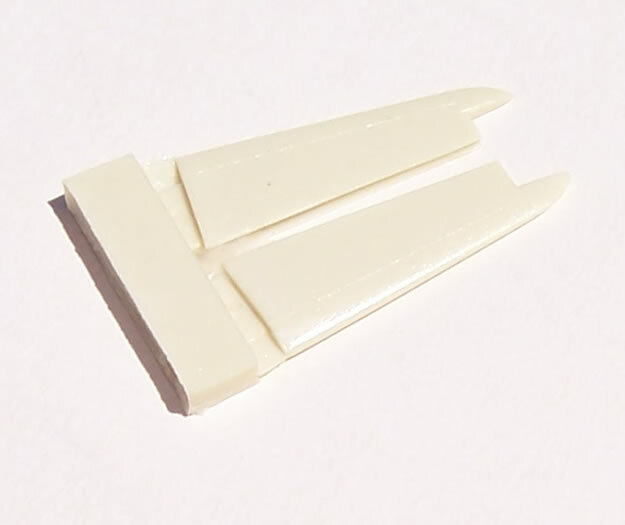 Simple, good quality detail sets - Recommended. 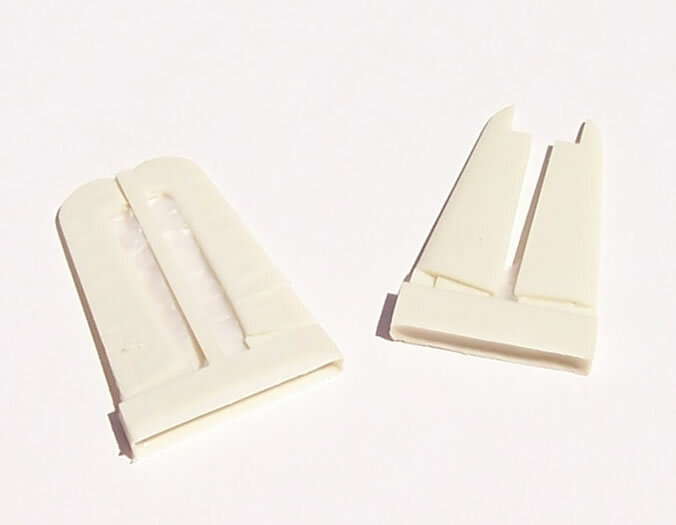 The three sets reviewed here are all simple and straightforward resin items. Each comes in a zip-lock bag with the instructions forming the header card and backing. 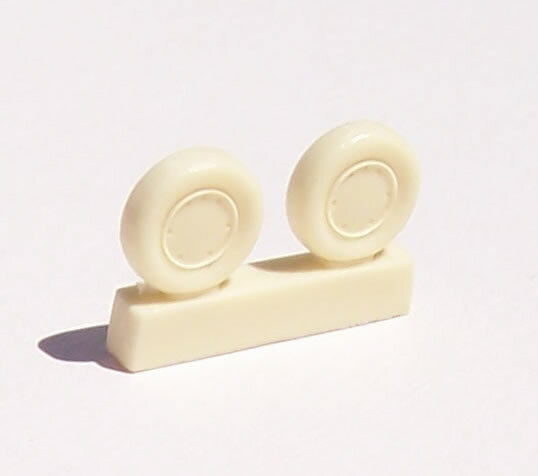 In each case the resin is cast to the highest standards with no obvious flaws and easily removed casting blocks. 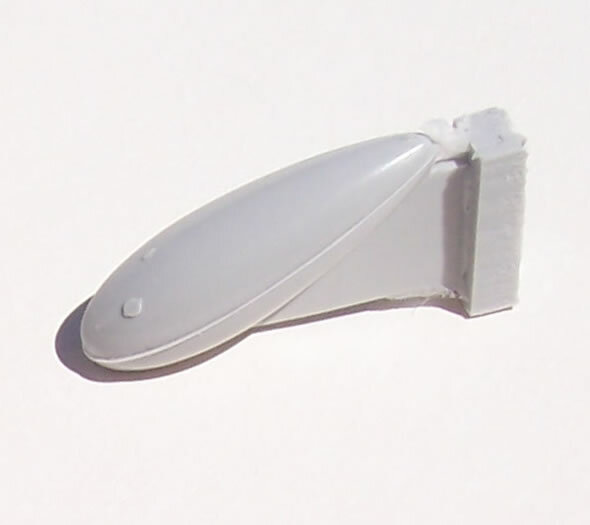 The F4U Corsair horizontal stabilizers with dropped elevators are intended for the Tamiya kits. 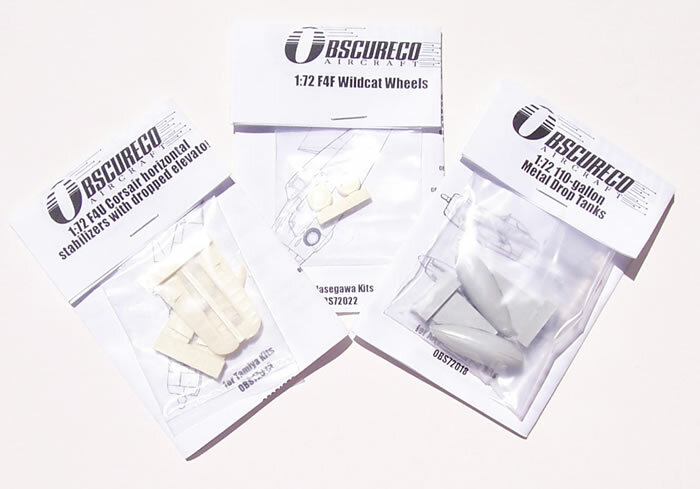 They are a simple replacement for the kit parts and enable your model to have drooped elevators (as they frequently were on the ground or deck). 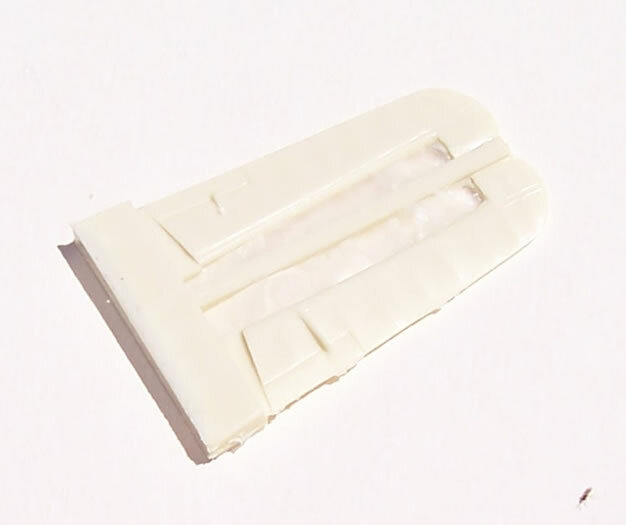 For a modest price this is a hassle free solution compared cutting the kit items and adding the leading edge of the elevator and rebating hinge face of the stabilizer. 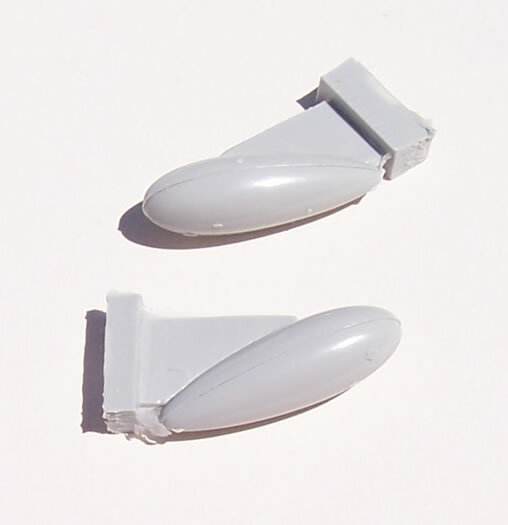 The F4E wheels are aimed at the Hasegawa kit which has prominent ejector pin marks. 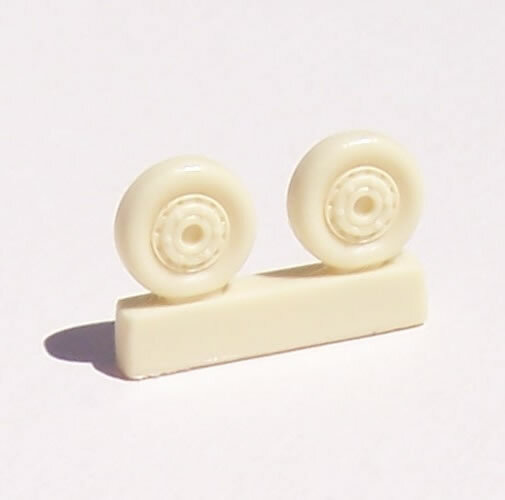 They also provide brake and rivet detail to the back and hub-face respectively. 110-galllon Metal Drop Tanks were widely used in the Mediterranean and Pacific theatres by P-51’s and P-47’s in the later part of WW2. No doubt they will be welcomed by modellers of these subjects. These are simple but very well executed items with attractive pricing. They each address subjects or issues that I think will be well-received and appreciated by modellers.